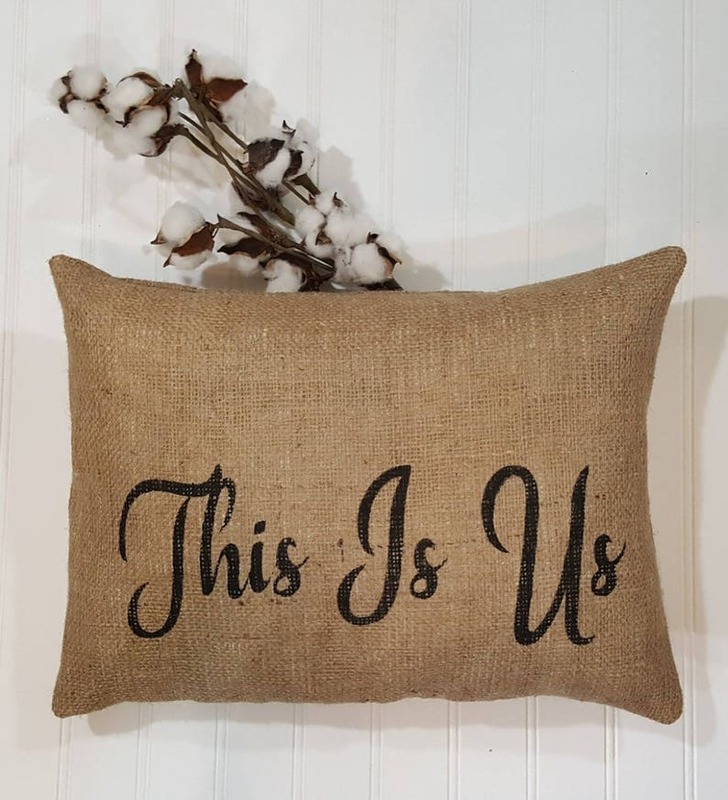 This Is Us Pillow Burlap Stuffed Pillow Rectangle 16" x 12" is made with a high quality burlap and lined with cotton muslin. I have lined this pillow so that no white fiberfill shows through your pillow, this gives your pillow a very sturdy feel. * I HAVE ONE PILLOW MADE AND READY TO SHIP ASAP! Your throw pillow sends a message that This Is Us, our family in all its glory! You can place your pillow on your bed, sofa, shelf or anywhere you want to share your statement. This is Us letters are painted black on the front of the pillow with sayings. Your decorative pillow comes filled with hypoallergenic fiberfill and I slip stitched it closed at the bottom.